Japanese shares ended Monday's session at a 21-year high, amid major sectors' performance on market indices, with banks and financial firms falling, and exporters benefiting from a weaker yen. The Nikkei average ended flat at 22,548.35 points, while the broader Topix index <.TOPX> was down 1.42 points, or 0.08%, at 1,792.66. The Nikkei ended Thursday's session up 0.5%, hitting a 21-year closing high, and the Topix rose 0.4%, the second daily gain in a row, and the Japanese stock market closed on Friday for a public holiday in the country. 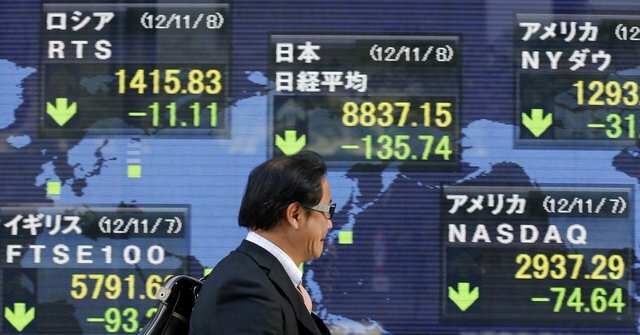 Over the past week, the Nikkei gained 2.4%, its eighth weekly gain in a row, the longest weekly gain since late 2012. The banking and financial sector fell by more than 1.5% in the first session of the week, after Japanese central bank governor Kuroda confirmed that the large bond purchase program would continue until the inflation target of 2% was achieved. The yen fell 0.4% against the US dollar, hitting an eight-month low of 114.70 yen, which boosted the rise in export stocks, especially automakers.